Badrinath is a holy town and a nagar panchayat in Chamoli district in the state of Uttarakhand, India. It is the most important of the four sites in Indias Char Dham pilgrimage and gets its name from the Holy temple of Badrinath. 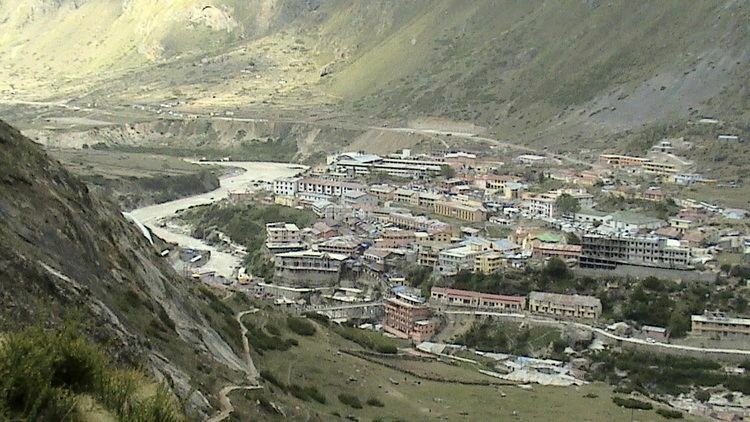 The Badrinath area is referred to as Badari or Badarikaashram (??????????) in Hindu scriptures. It is a place sacred to Vishnu, particularly in Vishnus dual form of Nara-Narayana. Thus, in the Mahabharata, Krishna, addressing Arjuna, says, "Thou wast Nara in a former body, and, with Narayana for thy companion, didst perform dreadful austerity at Badari for many myriads of years." Another Legend explains both name and sitting posture as this place was full of Badri bushes and Vishnu meditating for, beloved Lakshmi stood next to him sheltering him from scorching sunlight turned into a Badri herself called BADRI VISHAL and her lord(Nath) became the BadriNath. 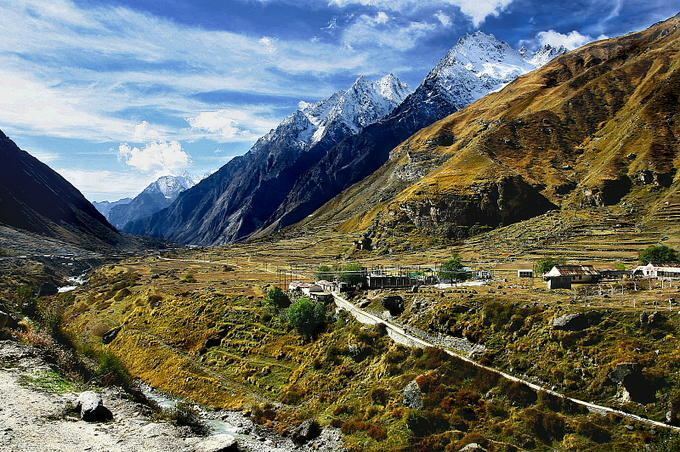 The mountains around Badrinath are mentioned in the Mahabharata, when the Pandavas were said to have expired one by one, wheny ascending the slopes of a peak in western Garhwal called Swargarohini. (literal meaning - the Ascent to Heaven). 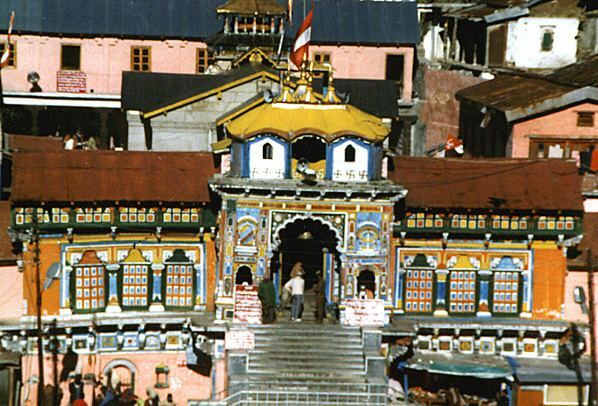 The Pandavas passed through Badrinath and the town of Mana, 4 km north of Badrinath, on their way to Svarga (heaven). There is also a cave in Mana where Vyasa, according to legend, wrote the Mahabharata.